The new Kendra Scott store just opened here in St. Louis at Plaza Frontenac. Their actual open was one week ago today, but they had soft opening festivities on Saturday, and the husband agreed to accompany me for a quick shopping trip. The store looks great - just as bright and fun as you would expect, and I was looking forward to taking another look at the new Mirror Mirror collection. When we were in NYC, we got to preview the collection and I tried on the Coursen hinge necklace. That is definitely going on my Christmas list because it's so stunning. If you follow me on Snapchat (carylee07), you saw that I ended up buying the Jayce necklace in pyrite. It is GORGEOUS, and I cannot wait to wear it! I debated on which size I wanted, but go big or go home, right? After the husband agreed to go to Kendra Scott with me, he said the words every girl longs to hear, "Maybe we can go to Ikea afterwards?" YES! Speaking of new stores in St. Louis - the new Ikea opened at the end of last month. I wanted to be brave and check it out opening weekend, but the husband vetoed that pretty quickly. Considering it's been open less than a month, the crowd wasn't terribly unbearable, though I had braced myself for the worst. Oh, and no, I did not traipse around Ikea in my heels. I switched into some flat leopard booties (similar here) figuring we would spend a few hours wandering aimlessly in the Ikea maze! He ended up picking up some shelves and a storage cabinet for his man cave, and I bought some random pieces for my bathroom - a new shower curtain and trash can. We also ended up with a new carpet runner for our hallway leading off the garage. We spent about 3 hours there, so naturally we needed some meatballs about halfway through to keep us energized. YUM. 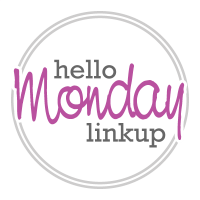 Linking up for: Monday Mingle, Shoe and Tell, Rachelle and Cha Cha for #HowIFall. I love kendra scott and you've got some amazing pieces!! Seriously I can spend a whole day at Ikea, currently obsessed over everything Kid's room related. Hope you have a great week ahead! Growing up in Hawaii, we didn't have any big stores and it was so fun to go my first Ikea when I moved to California. I love their meatballs! Love this jacket and it goes so well with the deep purple. You know how I feel about those shoes. what fun!! love the friends reference. So glad you are feeling better and had a fun shopping day. 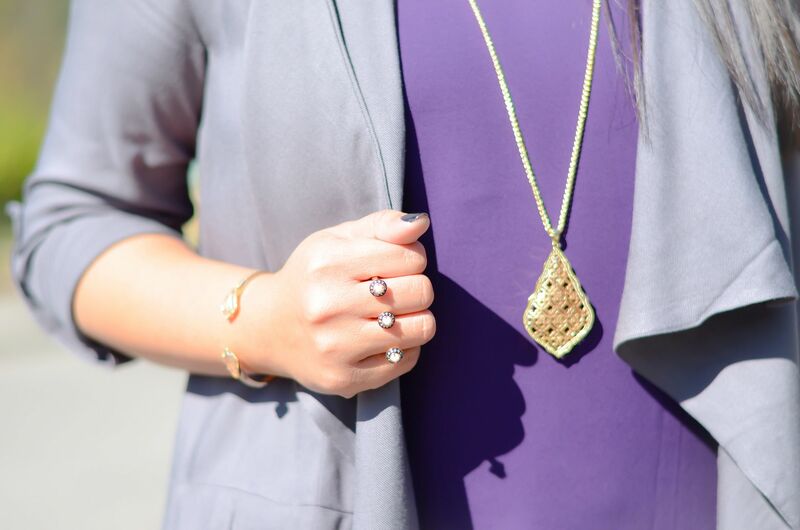 Love all the shades of purple with this look and dying over the accessories! Love the jacket and clutch! Gorg! And I want a Kendra Scott store! I need to see if we have one in Phillly. but catching up hopefully. Cute outfit! Have a good Monday. I so wish there was a Kendra Scott in my area! But, you've inspired another addition to my Christmas list with this post. :-) Great jacket too! I love the mixed purple colours and that clutch is AMAZING! Love every single item in this outfit. That jacket looks so good and the clutch is amazing. I don't even have to mention the shoes. It took forever for them to open an Ikea around here. It's been a few years and it's still always crowded. Glad you had a good weekend and are feeling better. Love your jacket and necklace! I totally read that in my best "Janice" voice, ha! Love these pretty shades of purple, especially with the metallic accents. Ikea does make for a day of fun, right? We just got one near us this past year and I need to go back and stock up on some things! 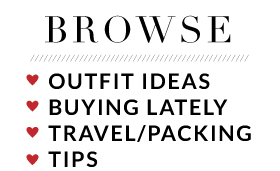 Sounds like a fun shopping weekend! We took a trip to the Ikea in KC back in the summer and had so much fun just walking around! We didn't even buy anything but had so much fun going through all the different "rooms" they have set up haha! Great look! Love the shoes and bag. Thanks for hosting the linkup. I love that grey jacket, and you cant beat those rockstuds! So glad you had a nice weekend! I haven't checked out the new KS line in person yet. I love your mirrored sunnies with this look. They compliment your color well. 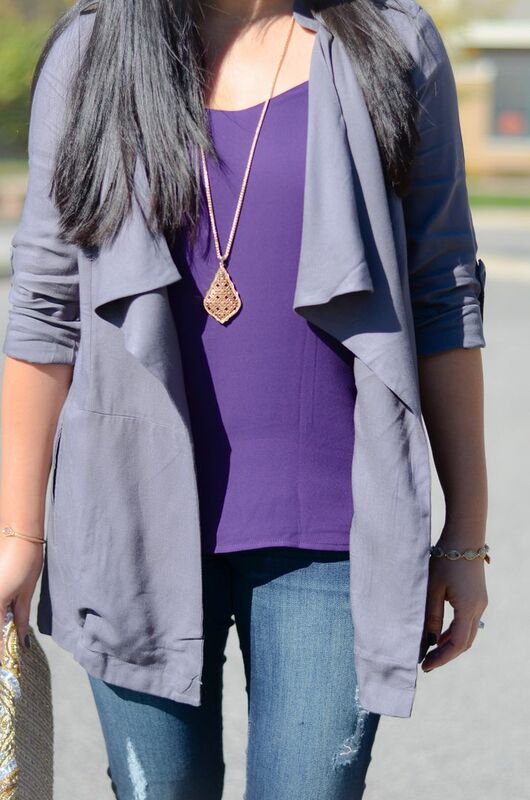 Loving your lavender/purple look, especially paired with the beautiful clutch and necklace! Thank you for hosting. Love that clutch. 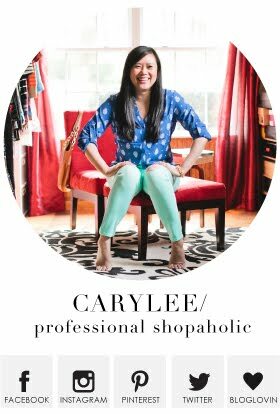 Thanks for hosting the link-up every week, Carylee. The shades of purple are gorgeous. I love your comment "Go big or go home!" so funny. Can't wait to see how you wear the necklace. Gotta love Kendra Scott!! 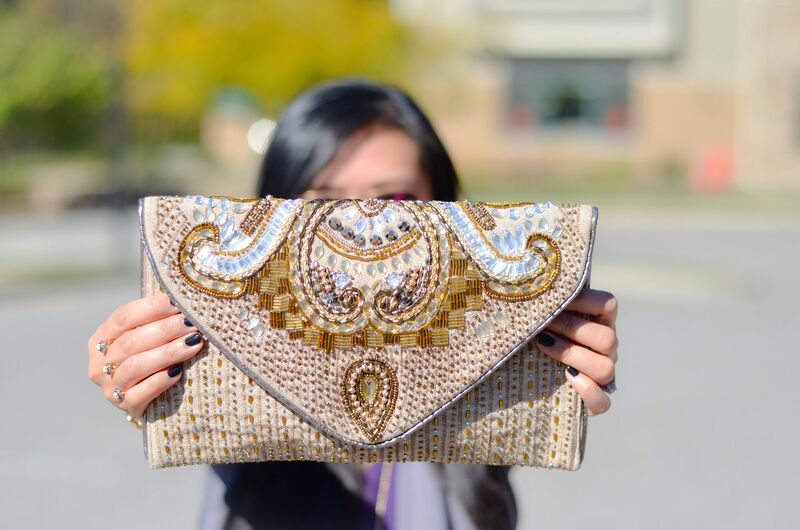 Your heels, clutch, and jewelry make this outfit! Love these pieces!